Reported high rates of childlessness fail to take into account fertility treatments, adoptions and the simple delay of childbirth. Recent reports of the rise of childlessness are premature. 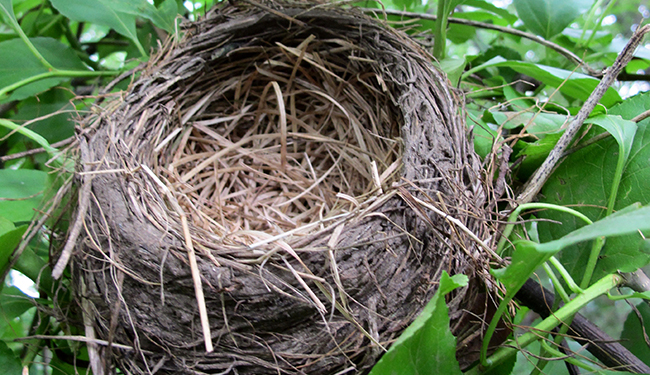 As with fertility dynamics generally, the phenomenon has many parts. The reports may prove true in the long term, or they may not—but it’s too soon to tell. There certainly are substantial numbers of older women without kids. But how many exactly, when did this rise occur, and will they be childless permanently? The statistics being batted about in the news are confusing. A recent Time cover story based its discussion about increasing childlessness on the fact that we have an all-time low birthrate, and that a 2010 report by the Pew Research Center asserted in its title that “Childlessness [was] Up Among All Women.” But both these data points are problematic. The huge majority of the declines in births since the recession are among women 15 to 24, according to the Centers for Disease Control (CDC). Rates fell 25 percent among women ages 15 to 19, 19 percent among women ages 20 to 24, and 9 percent among women ages 25 to 29 between 2007 and 2011. But there’s no reason to assume that these women will not have kids later. In a few years, the ripple effect of delay will likely manifest in a sharp rise in births to women in their late 20s and early 30s, with some waiting into their later 30s and 40s, if this set of delayers follows the pattern of those before them, of waiting to finish college, get established in their careers, and then start their families. The Pew report was confusingly presented. In spite of its title, that report included this illustration, indicating that the rate of childlessness was actually down in the last year of the study from the year prior, though it was definitely up from 1976. The biggest rise in childlessness since 1976 (a 5 percent increase) occurred between 1984 and 1992, not exactly current news. There has been a rolling rise since then, but not a big one, and in 2008 the trend was down. 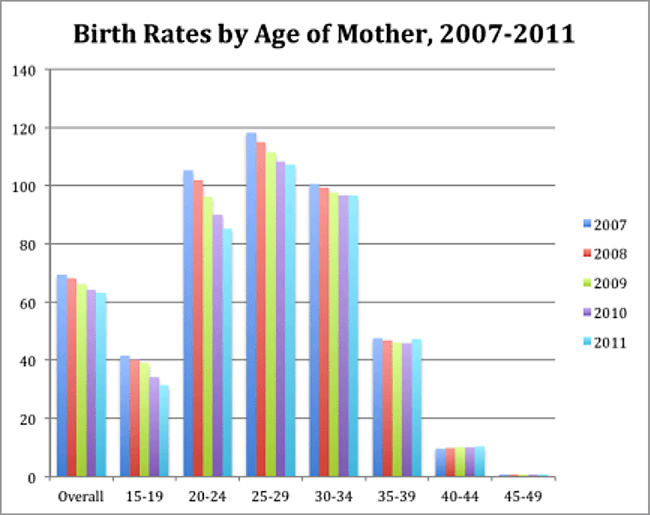 The possibility that childlessness rose during the recession is real, but we await further updates. It’s worth noting that the childlessness rate has been higher than 10 percent at most points in U.S. history for which records exist. It ranged between 15 percent and 25 percent of white women [the majority and the group on which 19th century records were kept] born between 1830 and 1920—including women whose fertile years occurred during the Depression. And yes, many married couples during that era employed birth control, including condoms and diaphragms,—Goodyear patented the vulcanization of rubber in 1843—as well as withdrawal and abstinence. Per one study, the rate was 10 percent or below among white women only for those born between 1922 and 1942. This data is also complicated by the fact that the pool of women tracked in this chart (women ages 40 to 44) have not all reached the end of their childbearing years. Some of those included in the “childless” count here will bear children by the usual means before they reach 44, the age at which fertility ends for pretty much everyone (exceptions occur but are few). This is a relatively small number—108,920 women between 40 and 44 had kids in 2011, of whom 24,246 were having a first child (and thus moving out of the set with no children). Given the widespread pattern of delaying kids, it’s also more likely that more women will be trying to get pregnant in this age group than did in the past, and so more will succeed. Then there’s the new world of fertility technology: currently only a small number of women older than 45 have kids—we can assume that pretty much all of them occur via egg donation (7,610 in 2011, with 2,065 of those being first births, according to the CDC). But if substantial numbers of women are pushed past their natural fertility window by economic pressures, the possibility exists that we’ll see a rise in egg donor births once people are convinced the economic climate is positive and stable. Lowered cost, greater acceptance or other factors could also move more women to try this route. The picture of childlessness is also blurred in that only biological parents are counted in the Pew and CDC reports. Both the CDC and the Pew data report on the numbers of women who did or did not bear children. But many adoptive parents—about 125,000 per year overall—would disagree if you called them childless. Add in step-parents and foster parents, and you have a bigger chorus. Given that the Time article focused on people without any kids in their homes, we can assume that many readers don’t see the discussion of childlessness on the same terms that demographers do. Childlessness: up, down or steady? 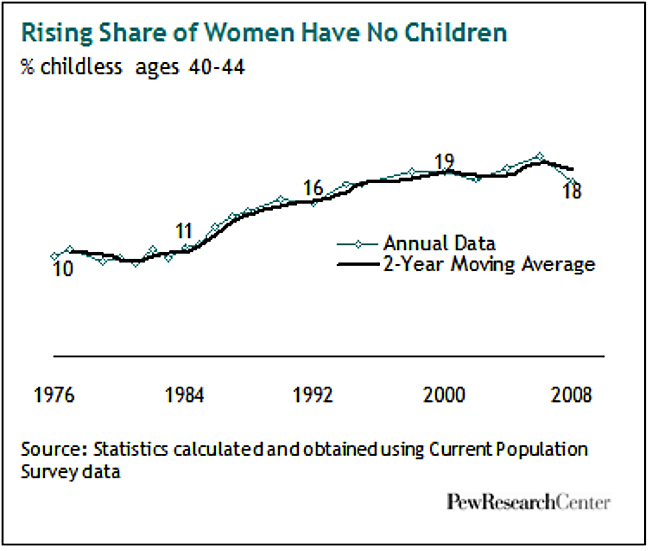 Is childlessness is up, down or steady? It’s up since the 70s, but it hasn’t changed much since the 90s and isn’t all that different than it was 100 years ago. But the context is changing as society adjusts to the reality that old gender roles just don’t serve any more. Trends are in motion and we don’t really know where women’s and men’s decision-making processes will take us in the coming years. That will be determined in part by policy decisions around childcare and other family support (there are plenty of economic disincentives to have a family nowadays). Also playing a major role will be women’s and men’s personal decisions. Will they want to structure their lives around children, now that, for the first time in human history, most people are both not dependent on children to work their farms and able to control the number of children they have through birth control. Never before have people had the option to have families only because they want them. The next few decades will tell us a lot about whether they do. Elizabeth Gregory is the author of Ready: Why Women Are Embracing the New Later Motherhood. She writes regularly at Domestic Product.